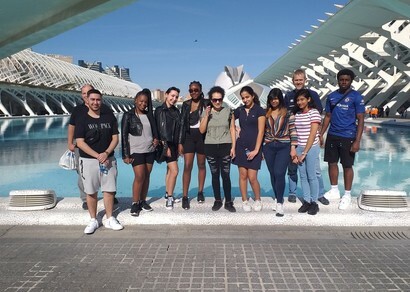 A group of lucky Travel & Tourism students from St Charles recently visited Valencia in Spain in order to complete a number of studies. They investigated the rebranding of the Turia River & the Valencia Cultural & Science Quarter. They also visited Valencia's historic centre & markets. The trip coincided with the incredible Fallas Festival Carnival, a tradition that takes place every March, and the group were able to enjoy impressive firework displays every day they were there. Students also completed field work on Albufera Nature Park sand dunes, an activity that took place on a beautiful, hot Sunday afternoon, with temperatures reaching up to 29°C. The visit was made all the more enjoyable as the group were able to relax in a 4* hotel after all their hard work!